On Friday, minutes after TMZ reported that Olympic swimmer Ryan Lochte was preparing an apology, Lochte released an official apology statement for his "behavior last weekend." The so-called "apology" was long but vague and defensive, steering clear of Lochte actually admitting responsibility for lying to the International Olympic Committee and to Brazilian authorities about the events of last Sunday morning. Lochte described the events of Sunday morning as "traumatic" for him, seemingly suggesting that he could have confused the security guards at the gas station he and his teammates stopped at for robbers. "Regardless of the behavior of anyone else that night," he went on, implying that it was not only the Team USA swimmers' behavior that was at fault, "I should have been much more responsible in how I handled myself." This essentially serves as a "sorry I'm not sorry" statement, avoiding blaming himself for any specific role and suggesting that the whole thing was a misunderstanding. The note also didn't include a full-throated apology to Brazil, and to Rio specifically, for perpetuating damaging stereotypes around this year's Games that the city has worked hard to prove untrue. 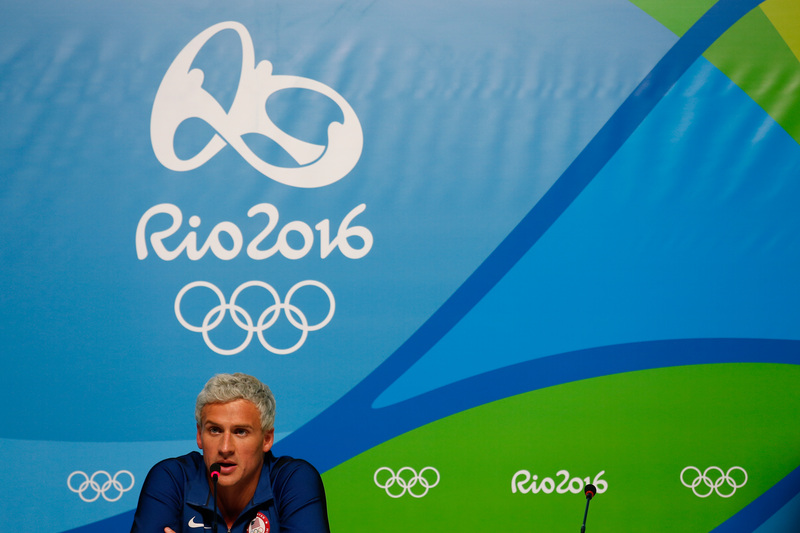 The closest Lochte's statement came to an apology was, "I appreciate ... the people of Brazil who welcomed us to Rio and worked so hard to make sure that these Olympic Games provided a lifetime of great new memories." It's generic and avoids the point, and could have easily come from any Olympic athlete's thank-you statement following their participation in the Games. It's traumatic to be out late with your friends in a foreign country - with a language barrier - and have a stranger point a gun at you and demand money to let you leave, but regardless of the behavior of anyone else that night, I should have been much more responsible in how I handled myself and for that I am sorry to my teammates, my fans, my fellow competitors, my sponsors, and the hosts of this great event. I accept responsibility for my role in this happening and have learned some valuable lessons. I am grateful for my USA Swimming teammates and the USOC, and appreciate all of the efforts of the IOC, the Rio '16 Host Committee, and the people of Brazil who welcomed us to Rio and worked so hard to make sure that these Olympic Games provided a lifetime of great new memories. There has already been too much said and too many valuable resources dedicated to what happened last weekend, so I hope we spend our time celebrating the great stories and performances of these Games and look ahead to celebrating future successes. Considering that the behavior of Lochte and his teammates sparked increased tensions between the United States and Brazil, and cast an embarrassing shadow over this year's Games, Rio deserves more from Lochte than this statement, which is essentially one big shrug emoji.